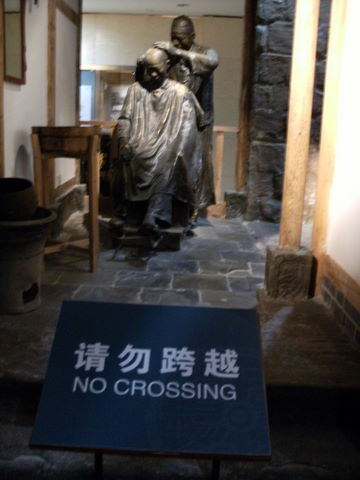 This was at a museum in Chongqing. The exhibit of an old-time street barber could be viewed from two sides. One was not supposed to walk through the exhibit and disturb things. I'm sure this isn't rare language, but I had not seen 跨越 used that way before so I had to look it up.